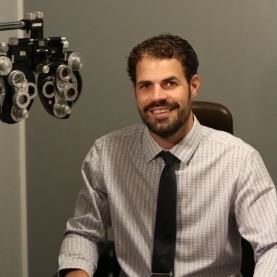 Our vision is to provide an unsurpassed eye care experience; service to you is our highest priority. 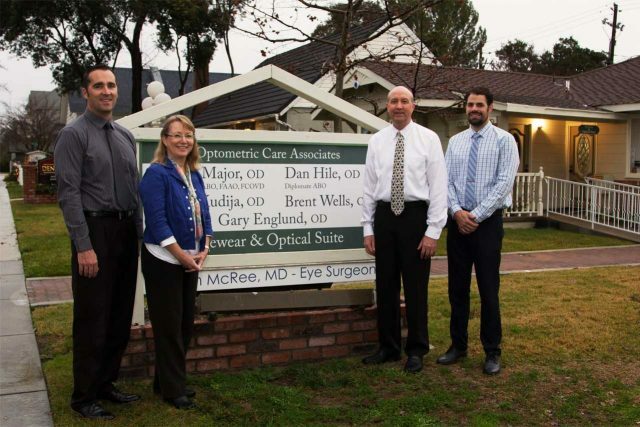 Our eye doctors, Dr. Douglas L. Major, Dr. Daniel Hile, Dr. Brent R. Wells, Dr. Karen R. Kudija, and Dr. Steve Jio — provide quality eye care services and vision care products in Paso Robles, Los Osos and Atascadero we truly care about the health of your eyes and provide Comprehensive Vision Care to all family members. 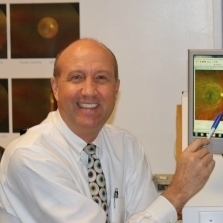 Our eye doctors are known for their patience and detail-oriented approach in dealing with all patients. We speak Spanish and endeavor to treat each patient in a language they understand. We are conveniently located in Paso Robles, Los Osos and our newest location in Atascadero (formerally Lens Masters) service California’s Paso Robles, Los Osos, Cambria, and the entire San Luis Obispo community. 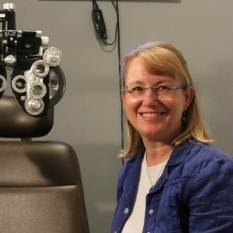 We are the local Optometrist near you with unsurpassed customer service in San Luis Obispo County. We stock Designer Eye Frames & Sunglasses, Contact lenses, and we offer Eye exams, Emergency Eye Treatment as well as the Management of Ocular Diseases. We treat our youngest patients with Vision Therapy and encourage healthy eating and nutritional counseling aimed at improving eye health. Optometric Care Associates accepts a number of Insurance plans to help cover the cost depending on your individual needs. Visit us at one of our vision centers today! Call (805) 749-2020 for Paso Robles or call (805) 979-2020 for Los Osos or call (805) 465-3511 for Atascadero to make an appointments or click here to schedule an appointment online. 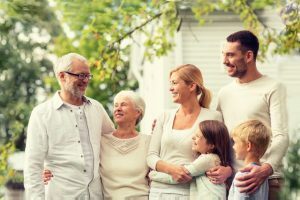 Our eye doctors, Dr. Douglas L. Major, Dr. Daniel Hile, Dr. Brent R. Wells, Dr. Karen R. Kudija, and Dr. Steve Jio — provide quality eye care services and vision care products in Paso Robles and Los Osos we truly care about the health of your eyes and provide Comprehensive Vision Care to all family members. Our eye doctors are known for their patience and detail-oriented approach in dealing with all patients. We speak Spanish and endeavor to treat each patient in a language they understand. Optometric Care Associates accepts a number of Insurance plans to help cover the cost depending on your individual needs. Visit us at one of our vision centers today! Call (805) 749-2020 for Paso Robles or click here to schedule an appointment online or call (805) 979-2020 for Los Osos to make an appointment or click here to schedule an appointment online. Whether you wear daily disposable contact lenses, weekly disposable lenses or monthlies, or even if you want to try contact lenses for the first time, Optometric Care Associates in Paso Robles, Los Osos and Atascadero specialize in contact lens fittings and offer a wide selection of contact lenses including disposable soft contact lenses, bifocal/multifocal, toric, and colored lenses. We also specialize in hard-to-fit contact lenses. Whether you have had difficulty in the past wearing contact lenses, our optometrists can help diagnose your issue and help you to comfortably transition into contact lenses. We carry a large variety eyewear including the latest styles in designer sunglasses and prescription eyeglasses. 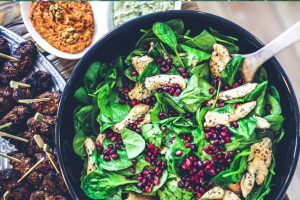 Improve and protect your vision through nutrition. We offer a whole-body wellness approach to managing your eye health. Children need crisp and clear vision to learn in school, to socialize with confidence, and to perform their best in sports. Undetected vision conditions can get in the way of their success in many areas of life. That’s why pediatric eye exams are critical! 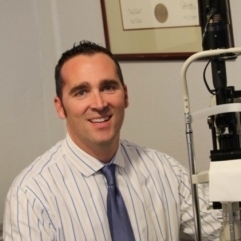 Just as you, the parent, are dedicated to maximizing your child’s potential, our Los Oblos and Paso Robles eye doctors are dedicated to optimizing your child’s vision! During a pediatric eye exam, our friendly optometrist will assess visual acuity, functional vision skills and ocular health. With a series of gentle, painless and quick tests, we will check for any signs of a pediatric vision disorder. If treatment – such as eyeglasses, contact lenses or vision therapy – is required, we’ll make sure your child receives all the eye care services necessary for sharp and healthy eyesight.